Please find below the most frequently asked questions by our investors. If you have a question that is not on the list, please feel free to contact us. What is a trading session? A trading session corresponds to the period of operation of the trading system that occurs between the pre-open state and closed state. Note that there is usually only one trading session per day. What time can I place trades? The following table displays the time range for all trading sessions by market. You can place a trade order during any given time range on the relevant working days. All customers who have registered themselves with us and have opened an account can benefit from using the functionality of MubasherTrade. Open an Account now. How do I register for MubasherTrade? New customers who would like to register and begin trading online can do so by opening an account online or by visiting any of our offices in Bahrain. What do I need in order to register for Online Trading using MubasherTrade? Proof of Address (Bank statement showing the same name and same address as the account) All funding for MubasherTrade must come from an account in the name of the customer and all money transfers will only be done to an existing account in the name of the customer. What currencies are used for trading using MubasherTrade? What are the service fees and how are they charged? Please refer to the fees & charges schedule. Send an email to global@mubashertrade.com with account information. One of our call centre operatives will then contact you. Note that we might need to ask few questions to verify your account details. What does the message "your account is locked" mean, and what should I do? Your username will be locked if you enter the wrong login password three consecutive times. This is a security measure taken to remove the possibility of unauthorized people accessing your account. To unlock your username, send an email to global@mubashertrade.com with relevant account details, and you will be contacted by one of our representatives. We may need to verify your details to get the account unlocked. How do I deposit funds in my Mubasher account? Please visit the Ways to fund page for details. Do I need any specialist trading experience? We offer different products for different levels of investors. You can follow market information provided, and choose different tools to reflect the way in which you want to trade. Our model is cost effective and reflects the number of trades you make. Please see here for detailed information. MubasherTrade Web customers can access their accounts from any web based portal. 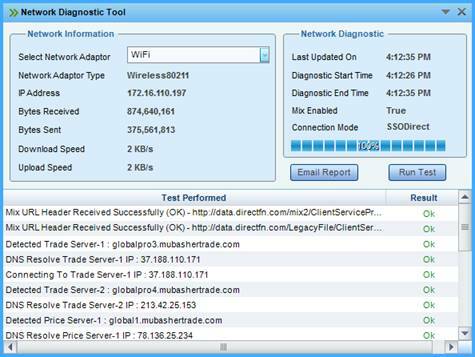 MubasherTrade PRO customers need to download the package onto a desktop before using. We strive to make MubasherTrade Web easy to use. For the times when you need it, help is at hand. Call us on our call centre hotline – through email, fax or through the comments page on this site. Do I need to open up multiple accounts? No. When you use MubasherTrade, you do not need to open multiple accounts with different exchanges, since you will be trading Omnibus through Mubasher’s accounts. If you are a UAE National or Resident, you may have to provide additional documents upon request, in order to comply with the UAE regulatory requirements. How can I ensure my account is secured? All Customers are required to provide a unique username and a password before they are granted access to their accounts and services. What are the software pre-requisites to use MubasherTrade Web? Listed below are the hardware and software requirements you need to have in order to load MubasherTrade Web on your PC. Please make sure that you have the recommended configuration before you start using the application. 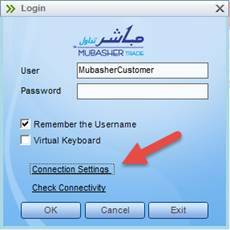 What should I check when not able to login MubasherTrade PRO? What is a “cash traded” ETF in the US markets? This is an ETF that is non-marginable and does not contribute to an accounts buying power once purchased. And as such, proceeds from SELL orders on “cash traded” ETFs will not be updated to the client usable buying power until the full cycle of cash settlement for US equities (T+3) has been completed. Leveraged ETFs mix equities with derivatives to magnify exposure to the benchmark index, and they have daily investment objectives. Leveraged ETFs are generally either two-times (2x) leveraged or three-times (3x) leveraged, meaning that while a regular ETF will attempt to match the benchmark index’s performance 1:1, a leveraged ETF will usually match it 2:1 or 3:1. How do I know if I am trading a CALL or a PUT equity option?